With a horse and cart and a load of once-used wrapping paper purchased from The Daily Mail, Fleet Street, London, the firm was originally known as Ian Campbell & Company Limited started in 1927. Appropriately, the first premises were in a hay loft over stables in Smithfield Meat Market. The business built up on second-hand wrapper until 1953 when the decision was taken to branch out into cartons. By then the company had moved premises twice; first in 1929 to a church in Popham Street, Islington and after a fire in 1931, to an old warehouse in Rhodes Street, Kentish Town. 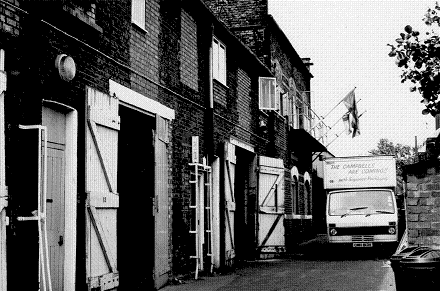 In 1955, due to redevelopment, there was another move to a former Horse Tram Depot in West Road, Stratford, where the vans with the logo “The Campbell’s are Coming” became a familiar sight for miles around. From 1960 Campbell’s were offering a full range of packaging materials including an industrial section added in 1970. Unfortunately, however, the residential nature of the area around the Stratford premises brought severe limitations on modernization and expansion, so after a difficult period of restrictions enforced by the local council, the company took compensation in the late 1970’s and moved out to Kemsing in Kent, near the newly opened M25 London ring road. Remarkably, the company has remained a family firm, passed on for three generations to the present owner and offering a unique background of experience and expertise in a wide variety of packaging products for the benefit of present day customers in this highly competitive field. We pride ourselves on customer service and satisfaction. Prompt and friendly communication and supplier-customer relationships we are proud of.